What a JOURNEY! 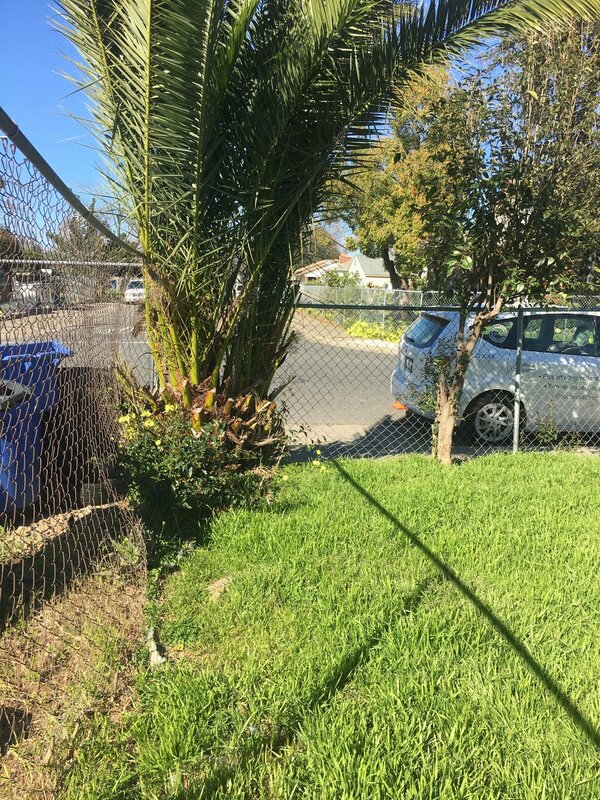 All the jackhammering and wrestling with chain link was about making the front yard into something nice, and Tim and I have made major progress! You can see the chain link, the privets, and the slap-dash paving. 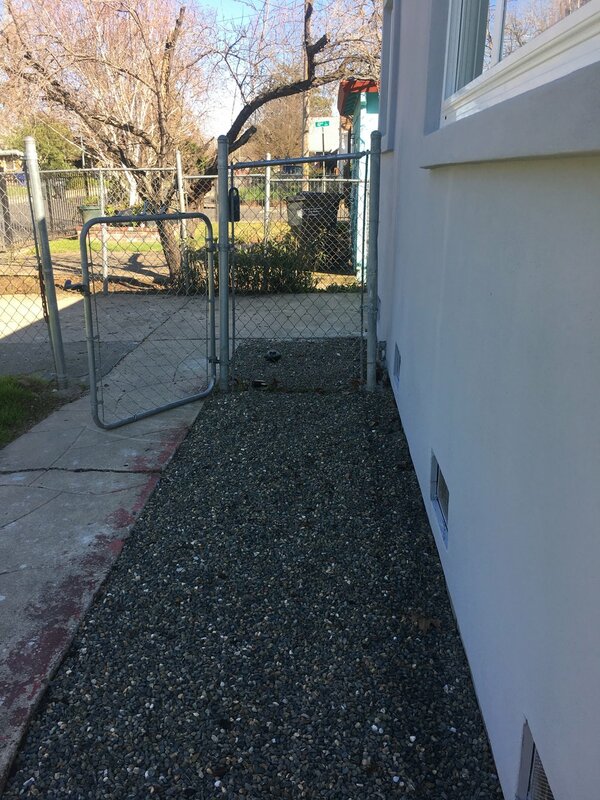 We took out the chain link first. MUCH improved! Because we didn't water the grass, it died. We did keep watering that rose bush and eventually dug it up and gave it to a neighbor who keeps roses in his front yard. It wasn't going to have a good home with the Black Thumb (yeah, that's me). Next, we dug out all of the grass, removing the top layer of sod. It ended up in a giant pile in the driveway, right in front of the giant pile of concrete. We dug shallow trenches where we wanted paths to go through the yard and ended up with a big dry pile of dirt with some trees in it. Since we REALLY do not want grass, in addition to digging up all the sod, we covered the dirt with cardboard, after shaping the dirt into a few mounds for plants (eventually), and covered the whole thing with more mulch. On Tuesday, we went to Silverado Landscaping and Building Materials and picked out some flagstones for our paths. We also got decomposed granite for under the stones, gravel for between, and some cool-looking river rocks. Let me just say that the folks at Silverado were amazing!! Great customer service!! So, yesterday and today, we lined the paths with landscaping paper (we really don't want grass...can you tell? ), filled them with the decomposed granite, arranged the flagstones, poured in the gravel, and topped with river rocks! It's been a great couple of days! You can see we exchanged one pile of dirt and rock (the sod and concrete was hauled away by Junk King last week) for another pile of dirt and rock! And now, all that work had paid off!! The yard isn't DONE done, but boy are we thrilled with how it turned out! !